Just because you’re sat at a desk all day, doesn’t mean you shouldn’t move! The forward slouchy posture of modern life- desk jobs, slumped over screens, driving cars, even riding bicycles- all encourage flexion or forward leaning spinal postures. We have lost our work and leisure activities of the past that used those important back muscles and encouraged extension, or backward leaning. 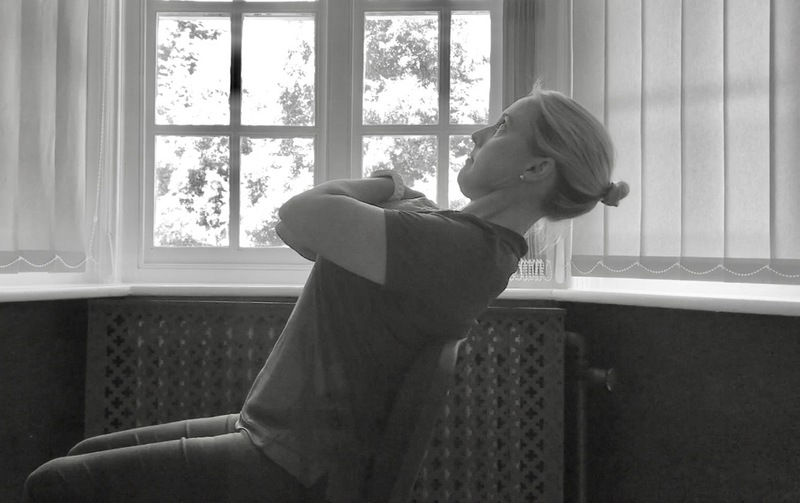 So, if you are one of the millions at a desk most of your working week, you need to counteract that slouchy posture with a stretch like this one. We advise you do it 5-10 times for every half hour of sitting.